How does a Masterflex tubing pump work? What flow rates are attainable? What flow precision can I expect? What is the effect of fluid viscosity on flow? What is the maximum obtainable pressure? What is the maximum suction lift? 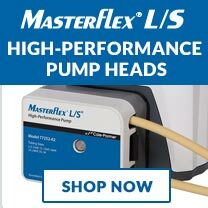 Can Masterflex pumps run dry? Are Masterflex pumps positive displacement type pumps? Can slurries or abrasive solutions be pumped? Why are so many pump heads and tubing sizes offered? What temperature ranges of materials can be pumped? What tubing formulation gives longest life? How does pump speed affect tubing life? 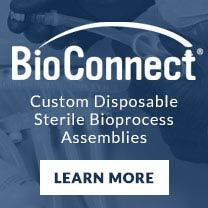 Is the tubing compatible for food and sterile applications? Is the tubing difficult to replace? Why are pump heads available without drives in the L/S, I/P, and B/T pump groups? Can more than one pump head be used with a single drive? Are drive systems other than those shown in our general catalog available? The tubing is placed into the tubing bed—between the rotor and housing—where it is occluded (squeezed). A "pillow" of fluid is formed between the rollers. This is specific to the ID of the tubing and the geometry of the rotor. Flow rate is determined by multiplying speed by the size of the pillow. This pillow stays fairly constant except with very viscous fluids. View our simple animation that demonstrates a Masterflex tubing pump in motion. 1. 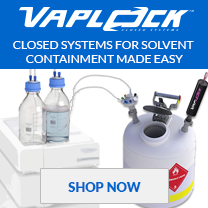 What flow rates are attainable? Our C/L systems deliver flow rates from 0.0011 to 46 ml/min. L/S systems deliver flow rates from 0.0006 to 3400 ml/min. I/P systems deliver flow rates from 0.012 to 13 LPM and B/T systems deliver flow rates from 0.3 to 45 LPM. 2. What flow precision can I expect? 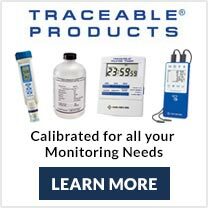 You can obtain a flow precision of better than ±0.5% with calibrated flow systems. For other systems, you can obtain ±2 to 5% precision for general transfer applications. 3. Are measured volumes repeatable? Volumes are repeatable with accuracies of ±0.5% or better using calibrated systems. 4. What is the effect of fluid viscosity on flow? All flow rates are based on water. Increasing the fluid viscosity will decrease the flow rate. See pages 1489-1499 of our general catalog for more information. 1. What is the maximum obtainable pressure? Depending on the tubing you choose, the maximum obtainable pressure is 40 psi (2.7 bar); nominal pressure is 25 psi (1.7 bar). 2. What is the maximum inlet pressure? Typically 40 psi (2.7 bar), depending on tubing ID, wall thickness, and formulation..
3. What is the maximum suction lift? The maximum suction lift is 29 ft (8.8 m) H20. 4. Are check valves required? No. Our unique designs eliminate this need. 5.Can Masterflex pumps run dry? Yes. They can pump gases, liquids, or mixed phases. 6. 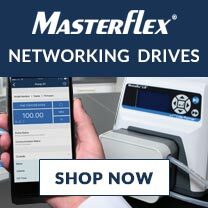 Are Masterflex pumps self-priming? Yes. They can develop a vacuum in excess of 26" Hg (660 mm Hg). 7. Are Masterflex pumps positive displacement type pumps? Yes. The flow rate with water is directly proportional to the rotor speed up to the maximum capabilities of the drive. 8. Are Masterflex pumps nonsiphoning? Yes. One roller is always squeezing the tubing closed, so you don't get any backflow. 9. Can slurries or abrasive solutions be pumped? Yes. The limitations are viscosity and particle size relative to selected tubing ID. 10. Why are so many pump heads and tubing sizes offered? To provide maximum flexibility in achieving desired flow at optimum rpm. Yes. Specifications apply in either clockwise or counterclockwise rotation. 1. Is the tubing important? The tubing is the pump chamber. The elasticity of the tubing provides suction lift; its strength provides pressure handling ability; its flexible characteristics determine pumping life; its bore determines the flow rate, and its wall thickness determines pumping efficiency. 2. What temperature ranges of materials can be pumped? Optimum temperature range is from 32 to 104°F (0 to 40°C). The max. temperature range is from -40 to 302°F (-40 to 150°C) for tubing and from 32 to 104°F (0 to 40°C) for the pump head. 3. What is the chemical resistance? 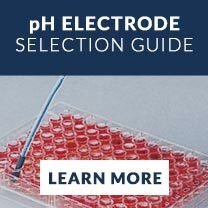 Depends on tubing style (see Tubing and Chemical Compatibility Table). 4. What determines tubing life? Pump speed and pressure, tubing material and chemical compatibility, and abrasiveness of the liquid (media) being pumped. For life expectancy, see Tubing Life Technical Data. 5. What tubing formulation gives longest life? Norprene*, PharMed*, Tygon LFL*, silicone, C-FLEX**, Tygon*, and Viton***, in that order. For more information, see Tubing Life Technical Data. 6. How does pump speed affect tubing life? Tubing life is inversely proportional to pump speed. Minimum speed gives maximum life. 7. 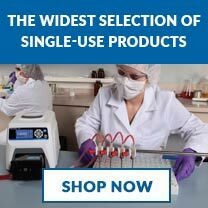 Is the tubing compatible for food and sterile applications? Yes. Some tubing formulations meet NSF specifications and FDA and USDA requirements for food handling. Many can be sterilized. For more information, see specific tubing’s Masterflex Tubing Formulations. 8. Is the tubing difficult to replace? No. The EASY-LOAD, EASY-LOAD II, High-Performance, cartridge, RAPID-LOAD, and QUICK-LOAD pump heads make tubing changes quick and easy. With the Standard pump head, tubing is easy to change using the loading key provided. 1. Why are pump heads available without drives in the L/S, I/P, and B/T pump groups? The modular concept lets you customize your system for maximum flexibility and economy. 2. Can more than one pump head be used with a single drive? Yes. Any number (typically two to four) can be stacked together in any combination using Standard or EASY-LOAD heads up to the maximum torque capability of the drive. 3. Are drive systems other than those shown in the general catalog available? Yes. 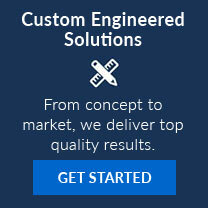 Our Engineering Department can customize, design, or modify a drive or drive package to your specifications for quantity purchases and OEM applications. Call 800-323-4340 or (from outside the U.S.) 847-549-7600; press 9-6092. * Norprene, PharMed, Tygon—Registered Trademark Saint-Gobain Performance Plastics Corporation. **C-FLEX—Registered Trademark Saint-Gobain Performance Plastics Corporation. *** Viton—Registered Trademark of The Chemours Company.